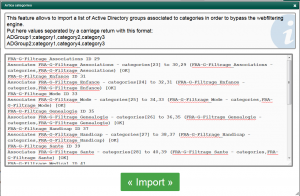 Home » Access Control lists » Import Active Directory groups and categories. 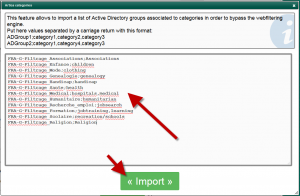 Import Active Directory groups and categories. This feature (available on Artica v2.17.080618 or above ) allows you to import a list of Active Directory groups associated to Artica categories objects in order to bypass the web filtering engine. 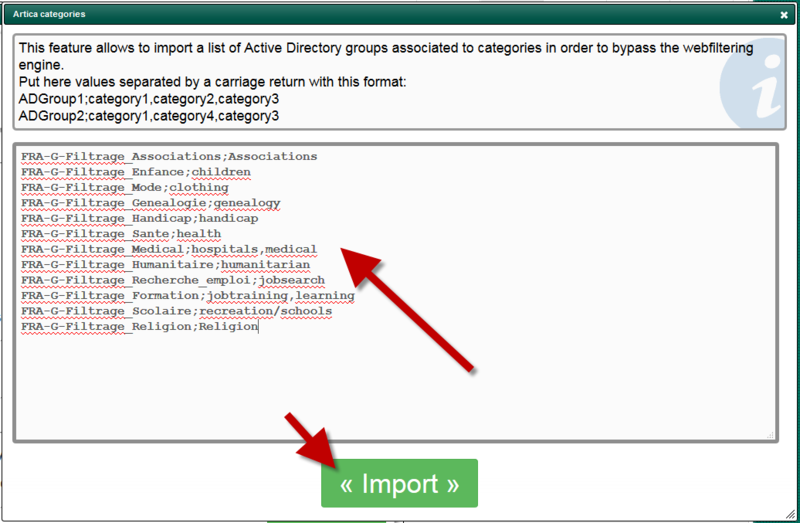 Choose “Import Active Directory group and categories” link. 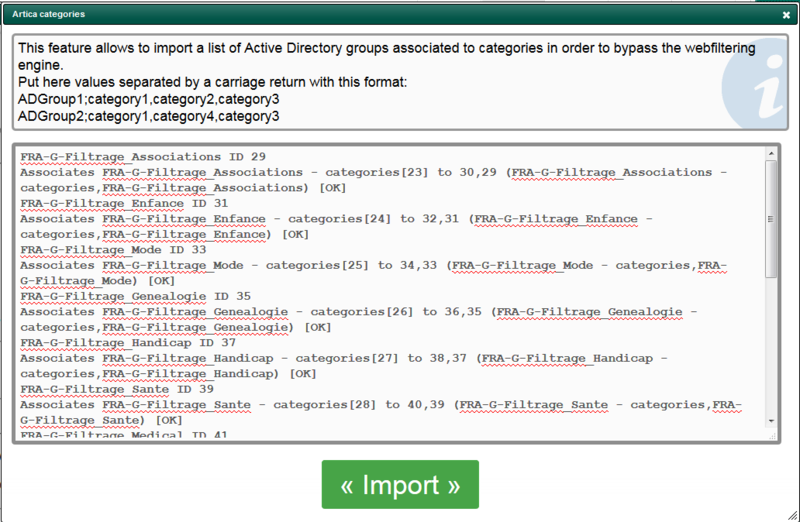 After clicking on Import button the text area will display to you error or importation success.